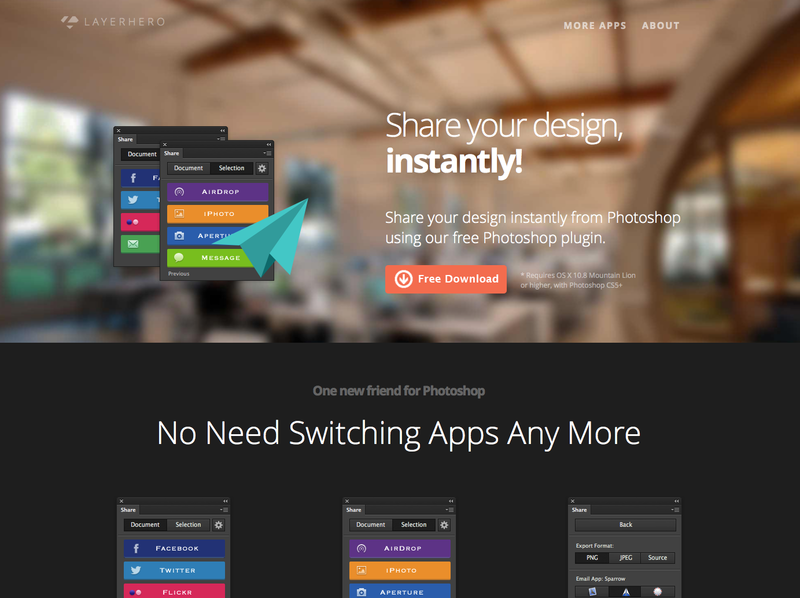 Layerhero have released a new app they are describing as a Free Photoshop Social Share Plugin which will help designers share their document directly in Photoshop. Share your PSD document or selection via main social services, such as, Facebook, Twitter, Flickr. Send your design via the local Email clients. Import your design to iPhoto or Aperture. Send your design files via Mac OS built-in AirDrop or iMessage. Free to export whole document or selection only. Support filename prompt when exporting.